… a jazz original about the perils of travelling in India. With George Koller on bass and Ben Riley on drums. Video by Ed Hanley. I always loved Jaco, and Herbie, and Wayne, and Don Alias. Here’s my take on all of them, in one song. … pianist, bassist, vocalist, producer, composer, arranger, etc. It’ll take more time to describe what I do than to show you, so feel free to explore my site. I hope you like what you see and hear. December 2018 – Autorickshaw wins Canadian Folk Music Award! 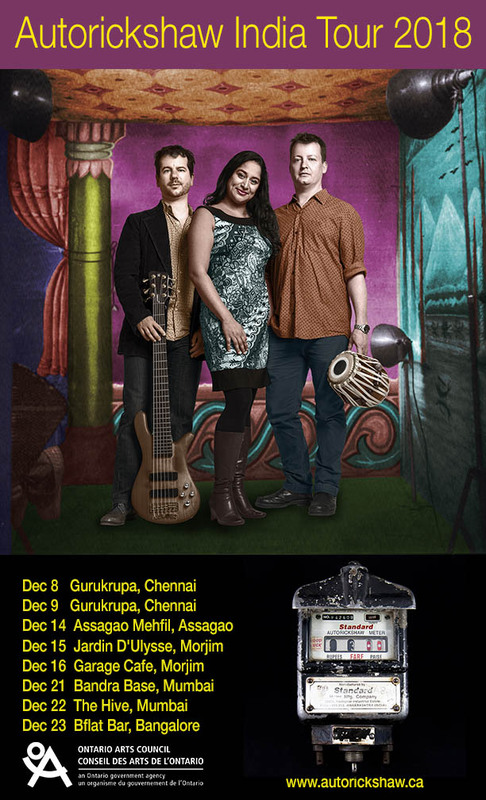 We’re on tour in India again, in support of our award-winning album Meter. If you are in India, or know anyone in the areas we’re playing, take a look below at our dates. We hope to see you there! You’ll find examples all over the site, but take a look below to hear (and purchase) my ongoing viurtal albums. “Don’t Fix What’s Broken” covers my contemporary writing: “Alter Ego” covers just about everything else.